Hydrocodone is an opioid painkiller that’s incredibly common on the market today. Doctors still prescribe this drug for chronic pain, despite understanding its addictive properties. Patients who use the medication according to doctors’ instructions often don’t realize its addiction risk. Hydrocodone helps manage pain that many other pain relievers can’t. Patients often take this opioid after surgery or injury. While hydrocodone works well, it causes many unpleasant side effects. When individuals abuse it, its effects are much worse. Side effects of this opioid include nausea, vomiting, constipation, and dizziness. The drug also causes sleepiness and confusion. Despite negative effects, patients who originally receive this medication from their doctors often continue seeking it after the prescription ends. They develop an attachment to the painkilling effects and euphoria that cause a high of sorts. Other attractive effects are a sense of relaxation and content feelings. Many people use it to escape anxiety, depression or unhappiness, not realizing they’re self-medicating a treatable mental illness. When patients are no longer able get prescriptions, street suppliers provide easier access. On the street, nicknames like perks, tabs, vicos, hydro, norco and 357s describe the drug. If you’re taking this opioid, you can develop an addiction. This means you suffer negative effects if you stop using it. If you believe you need hydrocodone for normal daily functioning and use it despite problems that it causes in your life, you likely already have an addiction. Before addiction comes tolerance. Tolerance means your body is used to the drug you routinely take. After awhile, your drug dose no longer provides the high or positive feelings you enjoy. You have to take larger doses to feel the same effects. Taking more hydrocodone to make you feel the high can also lead to overdose. Overdose includes ill effects like muscle weakness, slow breathing, slow heart rate, heavy sleepiness, unconsciousness, and in extreme cases, coma or death. There is only one real way to end your addiction to opioid medication. 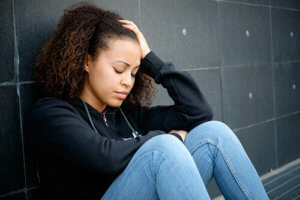 You need to seek a qualified drug addiction treatment center. Rehab will help you understand why you began abusing drugs and how to prevent your addiction from relapsing. 1st Step Behavioral Health understands painkiller addiction. At 1st Step’s facility in Pompano Beach, Florida, you can learn how to overcome your addiction for lasting recovery. This treatment program takes an old-school approach to rehab, helping you dig into your addiction and solve your underlying problems that led to where you are today. You can stop abusing hydrocodone and get your life back on track. You simply need the right support and help through a quality drug rehab program. Call 1st Step Behavioral Health now at 866-319-6126 for that help and a chance for a brighter future.